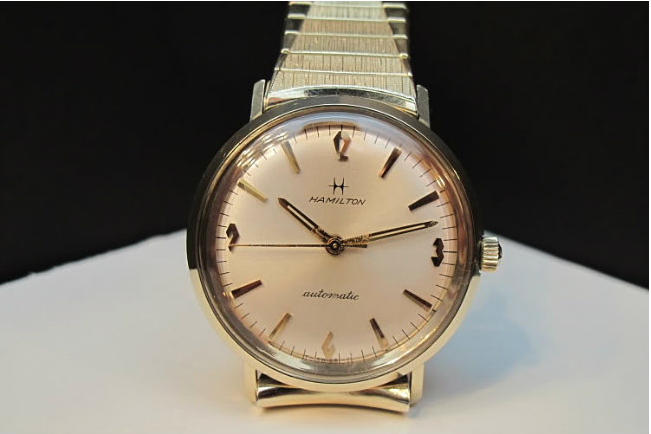 Hamilton ceased to make US-made watches in 1969. 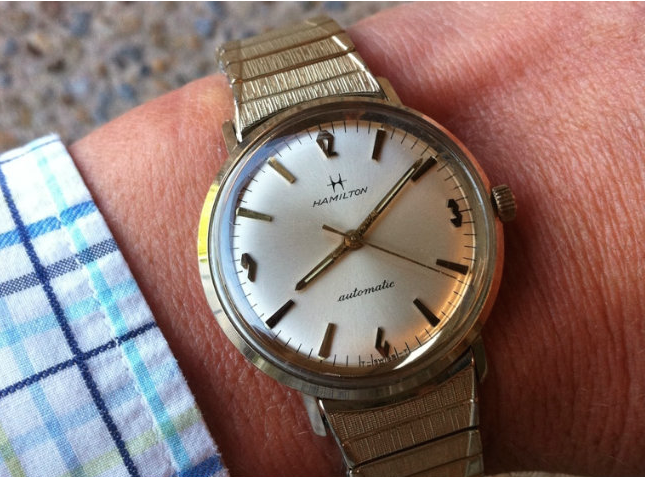 One of the watches introduced in 1968 and made up until the "bitter end" was the Accumatic A-608. The 10K rolled gold plate case opens through the crystal to provide access to the Swiss-made automatic movement. The hands have open slots to hold luminous material and a textured appearance near the center wheel. 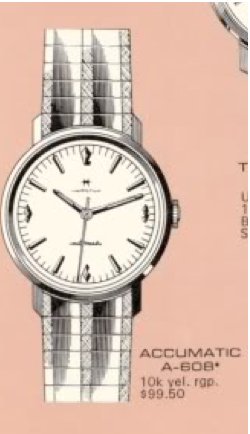 The numbers 12, 3, 6 and 9 are faceted, as are the hour markers so this watch really sparkles.